Endodontics is a specialized area of dentistry dedicated to treating teeth that are diseased or injured on the inside where the nerves and blood vessels reside. 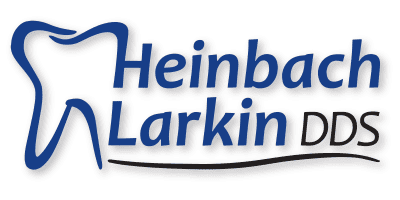 The dental team at Heinbach-Larkin Dental perform various endodontic procedures designed to relieve pain and save your damaged teeth. If you have tooth pain or you’ve suffered an injury that affected your teeth, contact one of their offices in Topeka and Lawrence, Kansas, or schedule an appointment online to get an endodontic evaluation. Endodontics focuses on the diagnosis and treatment of tooth pain, specifically problems with the dental pulp. The goal of endodontic treatment is to eliminate infection or repair damage inside the tooth so the tooth can survive and continue to function. The tooth’s inner tissue, the pulp, resides in a small canal-like area that runs up the middle of each side of the root and meets in the center of the tooth. The pulp contains nerves and blood vessels. When the pulp is affected by disease or injury, treatment consists of a root canal or another type of endodontic procedure. What types of procedures are included in endodontics? Endodontic procedures rely on state-of-the-art technology like operating microscopes and digital imaging. These tools are needed to identify problems deep inside your tooth, then to treat the problem and save the tooth. What traumatic dental injuries do endodontists treat? Any dental injury should be examined by a dentist or endodontist, even if your teeth seem fine and you’re not in pain. Slight fractures and damage to surrounding teeth that might cause problems down the road can be detected and treated early when you get a thorough exam. A root canal is a specialized procedure that removes the pulp when it’s infected. Eliminating the diseased pulp, cleaning the canal, and maintaining the tooth’s strength by filling the canal with a rubber-like material is the only way to save your natural tooth. Saving the tooth ensures you’ll be able to chew properly and retain the same biting strength and sensation. Of course, keeping your natural tooth also maintains your appearance. Root canal treatment is commonly believed to be a painful procedure, but that’s not true. The actual procedure is comfortable, and the root canal doesn’t cause pain; it relieves the intense pain of an infected tooth.